Bill and Melinda Gates visited campus on Tuesday, October 25. 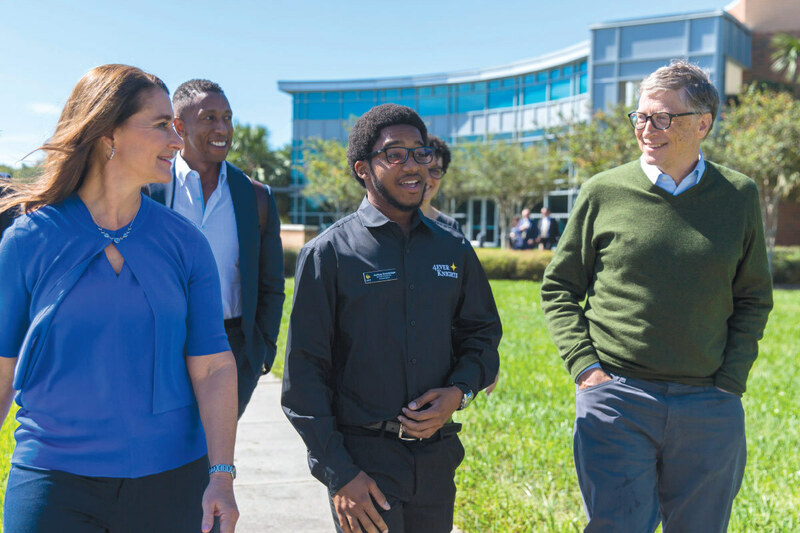 The Gates Foundation has been looking at UCF as an example of what the future of higher education could look like. 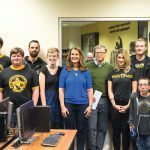 As part of their visit, they learned about UCF’s efforts in digital learning, which are focused on making a high-quality education available to as many students as possible, including UCF’s national champion computer programming and cyber defense teams. 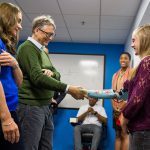 The Gates saw firsthand the innovative work being created at Limbitless Solutions, which encourages students to find new ways to improve the world around them. 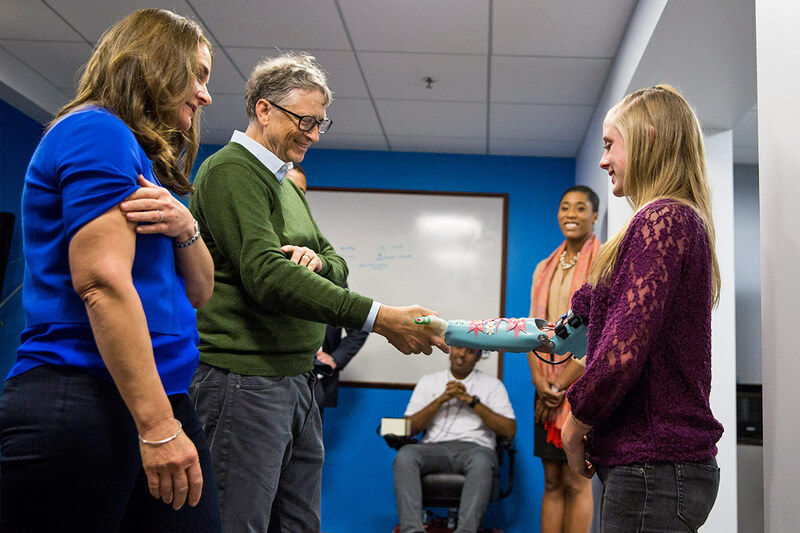 Bill Gates shook hands with Anni Emmert, a recipient of a bionic arm from Limbitless Solutions.